Mrs. Mitidieri is thrilled to be joining the Ward’s Creek family. She is beginning her 24th year in education. Originally from New York, she received her BA in Elementary and Special Education from St. Joseph’s College, a MSEd from SUNY New Paltz in TESOL (Teaching English to Speakers of Other Languages) and a Certificate of Advanced Study in Educational Leadership. 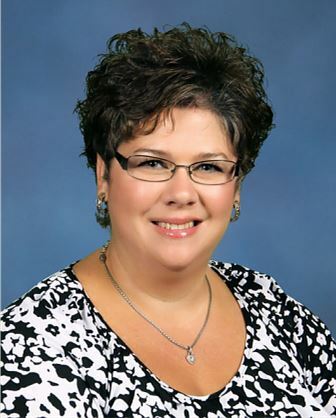 Mrs. Mitidieri has been a school administrator for 8 years. Most recently, Mrs. Mitidieri served as the principal of The Webster School for five years. Prior to that, she was the Principal at Suwannee Intermediate School in Live Oak, Florida. Mrs. Mitidieri has an unwavering belief that all children can learn and grow. She believes in inspiring both children and adults to achieve to their fullest potential. Kevin Klein graduated from Eastern Illinois University with a Bachelors of Art degree in Psychology. He then attended graduate school at the same school and earned his Masters of Science of Education with an emphasis in Guidance and Counseling. He moved from Illinois to the central Florida area in 1997 and began his career as a guidance counselor for an elementary school. While there he was encouraged to pursue a leadership degree. He was able to acquire his Educational Leadership degree from the University of South Florida and became an assistant principal for an elementary school. He moved to SJCSD in 2003 when was hired as the Assistant Principal for Switzerland Point Middle School in 2003. He became the Assistant Principal at Wards Creek Elementary beginning in the 2013-2014 school year. Mr. Klein is extremely excited about being part of the Wards Creek Warrior family. He is amazed by being able to see the 8 Habits displayed by the students. He has enjoyed being able to utilize his guidance background as the Warriors work towards their Legacy status as a Leader in Me Lighthouse school. He had followed the progress of WCE in obtaining their Lighthouse designation and feels very fortunate to be placed into a system that can maximize his talents. Mr. Klein’s favorite part of the day is watching the students arrive to school with such excitement for what the new day will bring. He will often tell the students he receives his energy by their smile. So, it’s not unusual to see a student make sure he sees them smile so he can have a great day. If a child gives someone a “thumbs up,” they may have learned that from Mr. Klein, as that’s often the way he lets the students know he is proud of their effort.